The most affordable version of this unique fully functional replica of this unique Ming Dynasty Sword just got even cheaper! 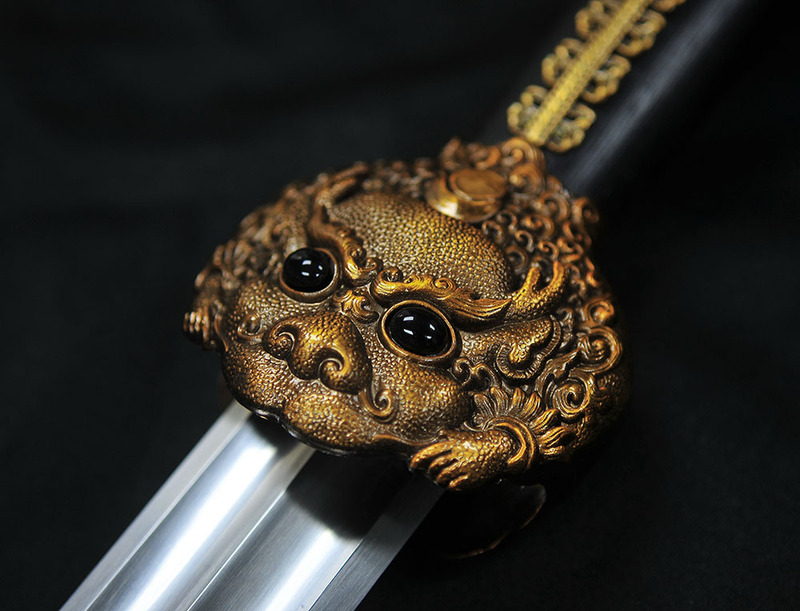 This is the same sword that many unscrupulous vendors try to pass off as much more expensive than it actually is, simply because it looks like it SHOULD be expensive and because they can get away with it.. But as you all know by now, that is not the SBG way.. 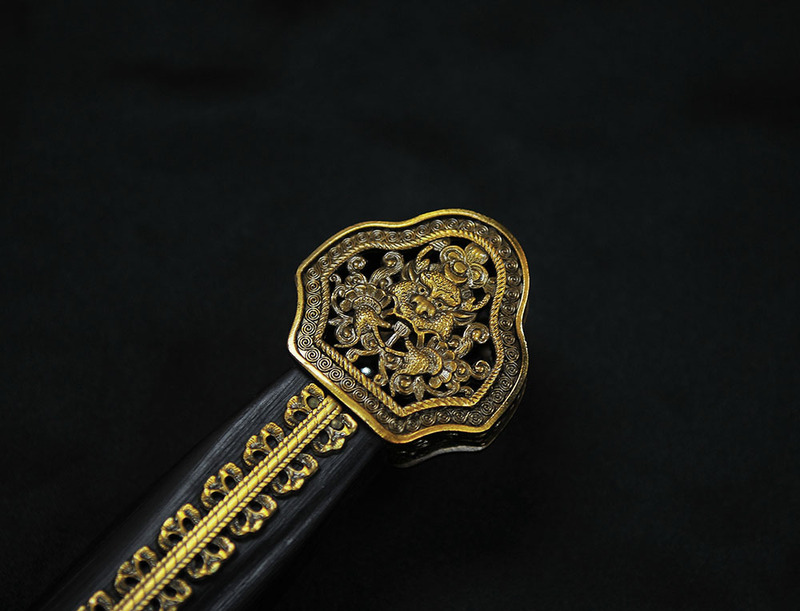 The blade is forged from solid 1060 monotempered carbon steel for strength and durability, while the fittings are heavy brass plated castings over wood core hilt and scabbard, and is highly intricate and well defined. 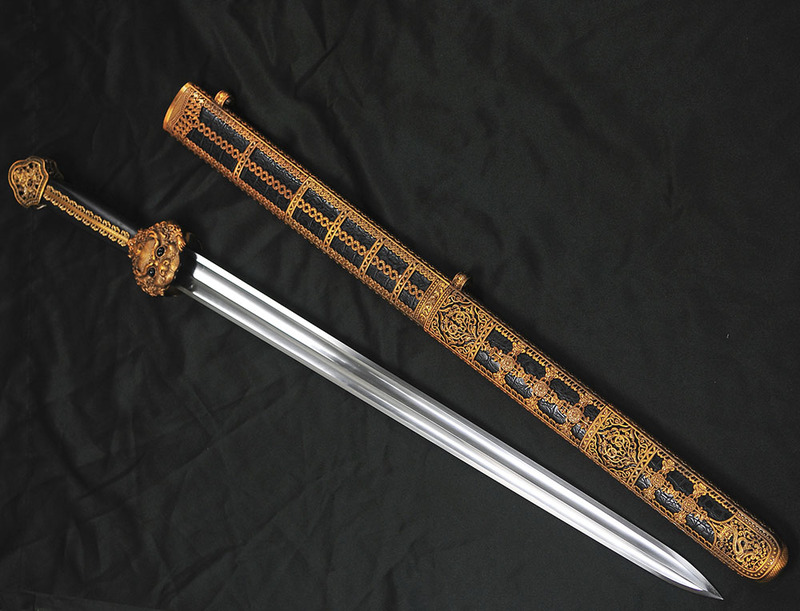 And the best part is,the weight - at only 2.8lbs this is one of the lightest versions of the historical Yong Lo sword and closest to how the original would have handled. 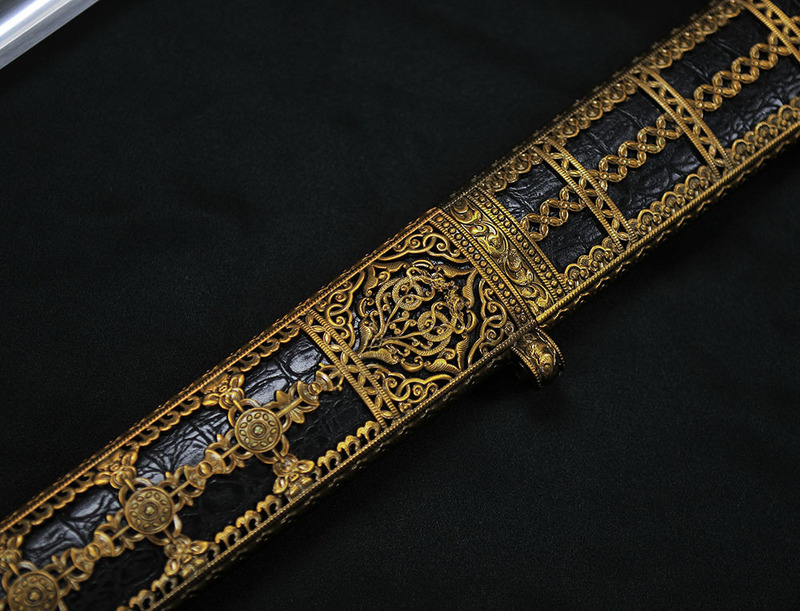 No matter which way you look at it, this is an amazing deal on one of the most iconic Ming Dynasty Swords ever made. 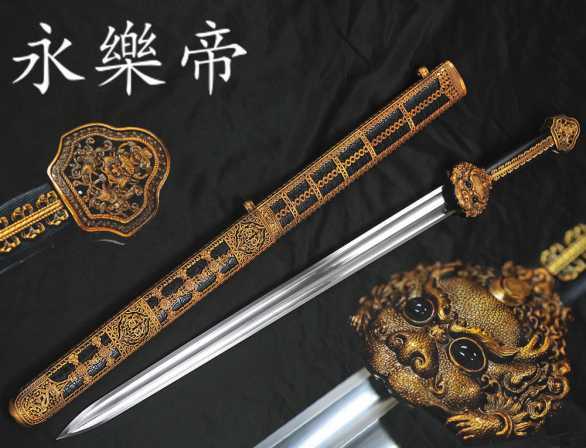 Click here to read more about Yong Lo swords, including the backstory on how we came to offer this particular version or HERE for a quick review from one of our customers who purchased it when it first came out at SBG. Overall (with scabbard) : 38 1/2" (inch) Overall (without scabbard) : 34 1/2" Blade length: 26" Handle length: 7 1/2" Weight(with Scabbard) : 5.1 lbs Weight(without Scabbard): 2.8 lbs Point of balance (from point to bottom of handle ) : 13 1/4"
1060 Hand Forged and Factory Sharpened Blade. 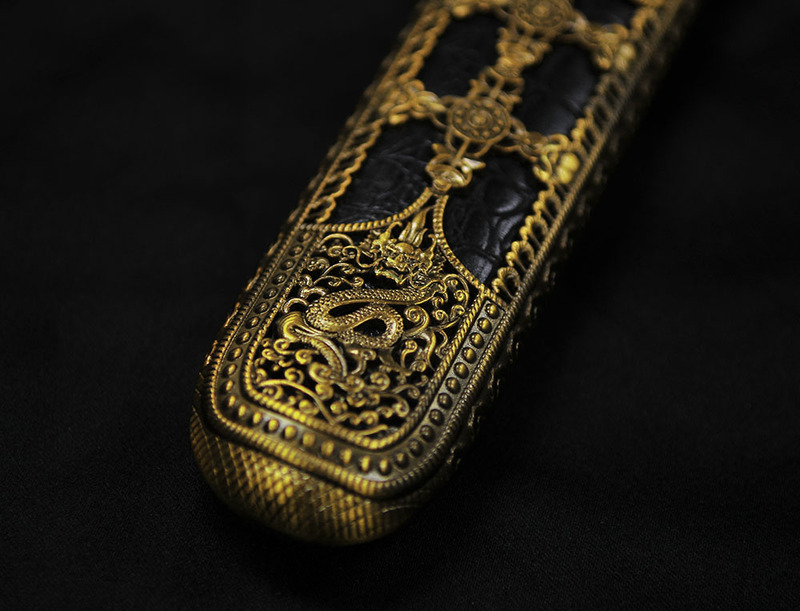 Brass Plated Fittings with wooden core scabbard lined with faux leather.